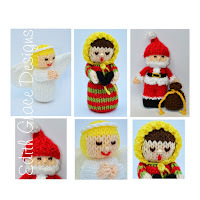 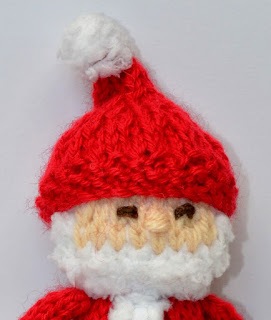 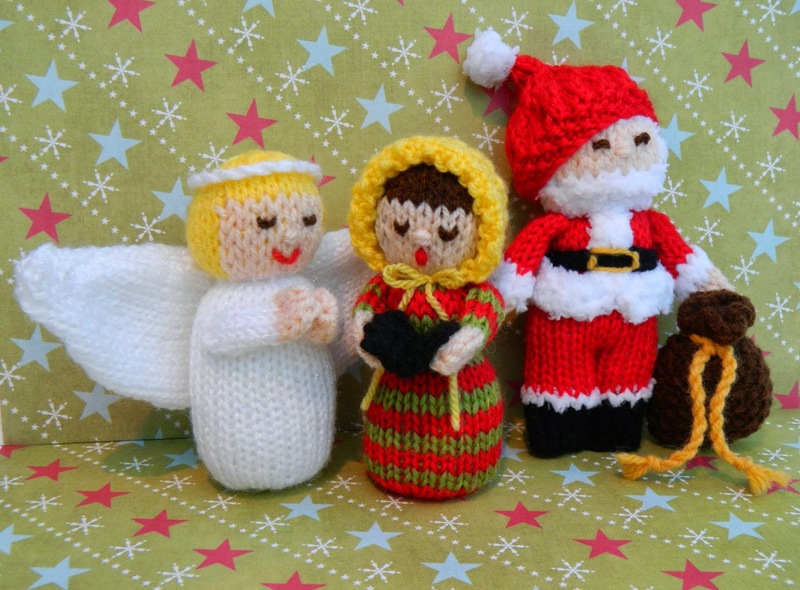 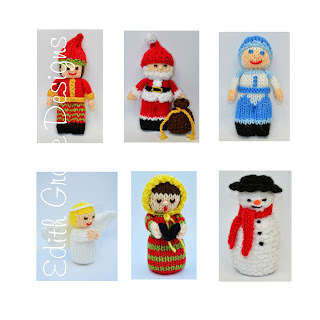 A Christmas Angel, A Carol Singer & Father Christmas knitting pattern. 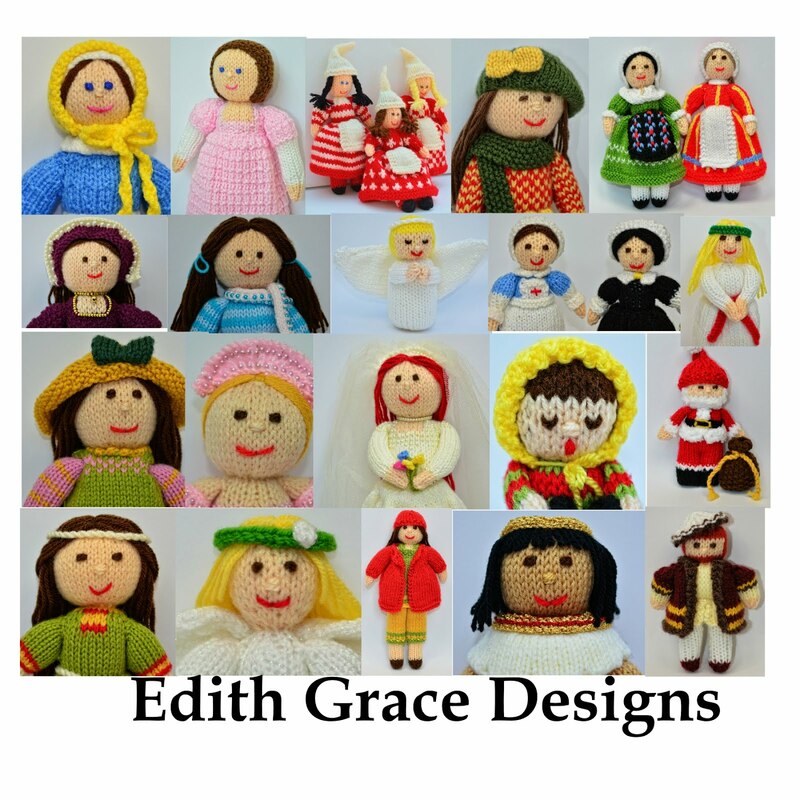 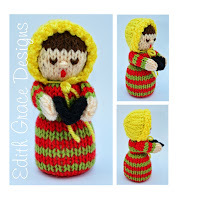 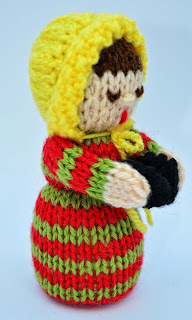 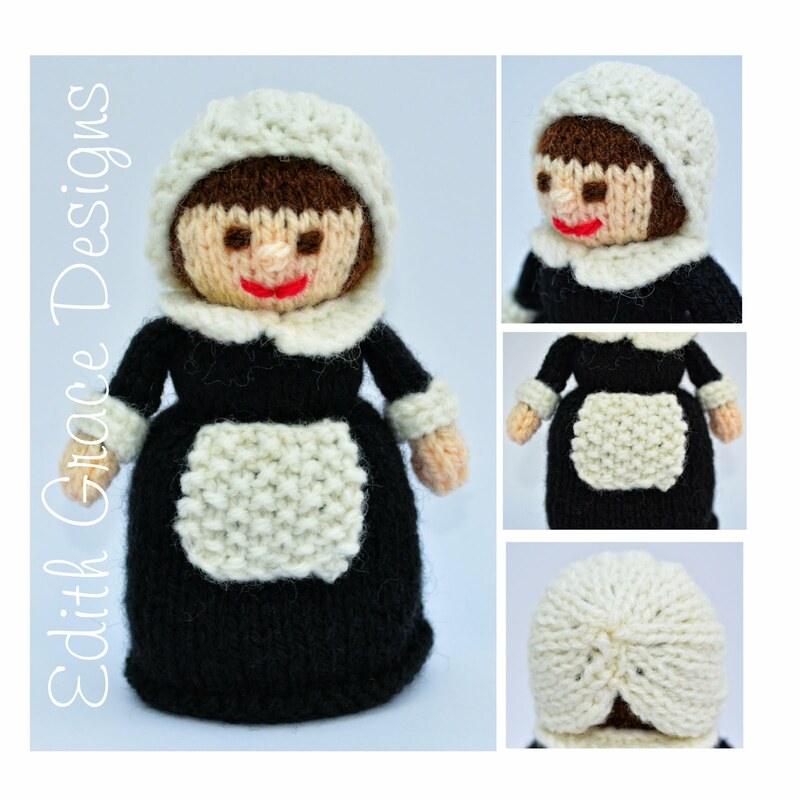 The knitted dolls are approx. 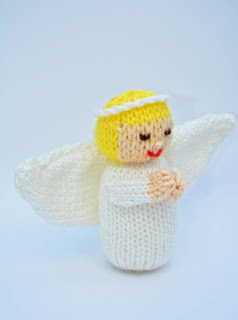 13cms tall, knitted in Double Knitting Wool & Worked Flat. 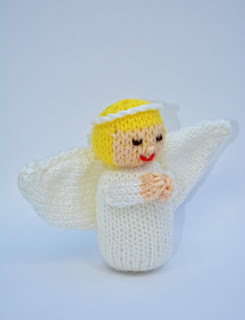 The Angel pattern can be bought in English & French. 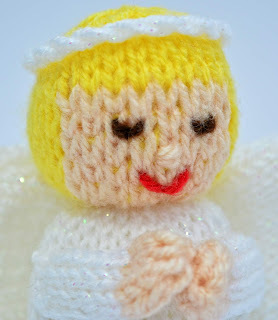 ﻿The Angel is knitted in Sirdar Snuggly Pearls DK, which gives a little sparkle & Hayfield Bonus DK. 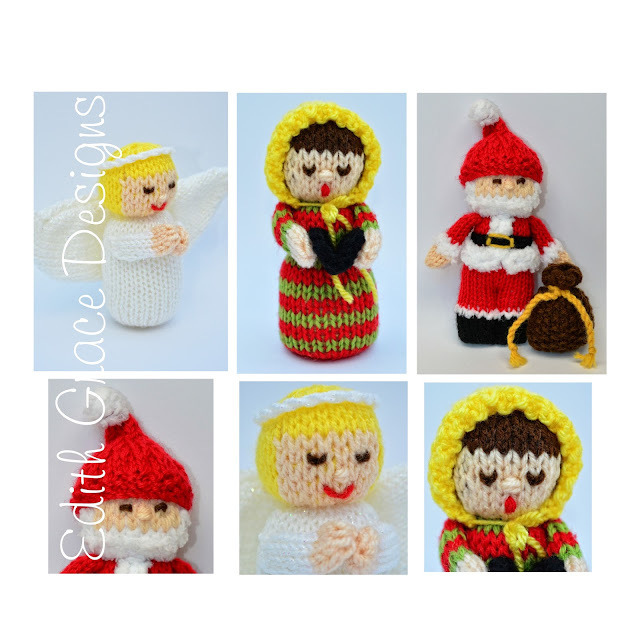 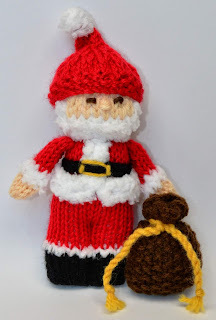 The Carol Singer is knitted in Patons Diploma Gold DK, as is Father Christmas. 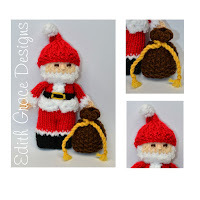 Sirdar Snuggly Snowflake DK is used to make his hair and beard look magnificent! 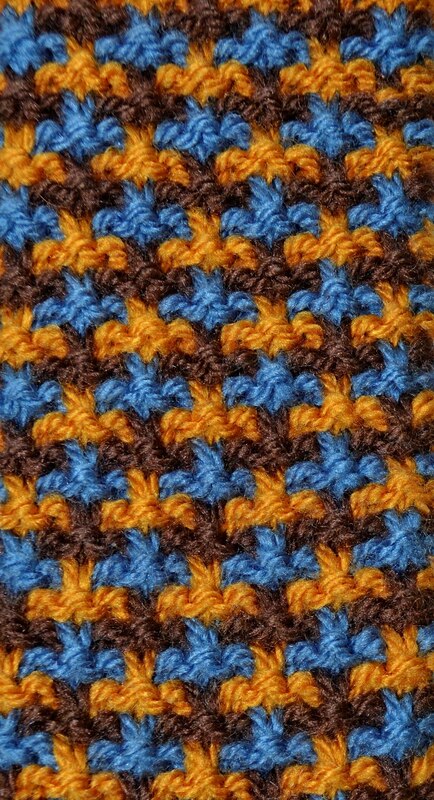 I also used Hayfield Bonus DK. 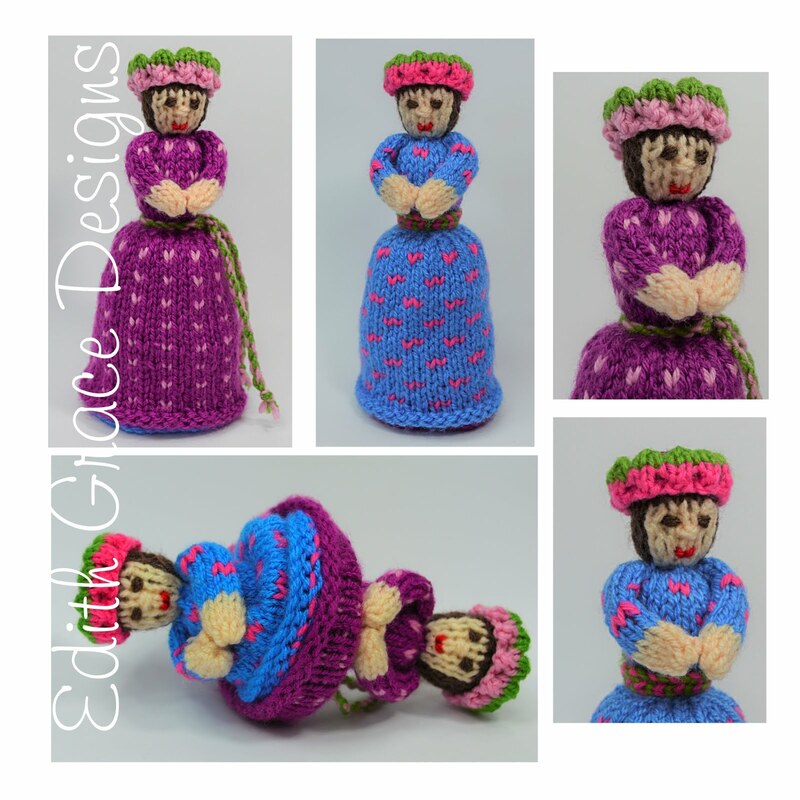 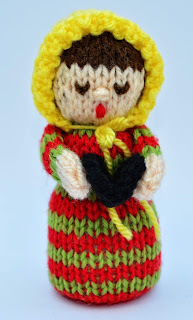 The dolls can be hung from the Christmas tree, made into a display or made as presents. 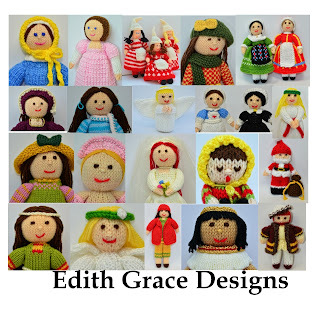 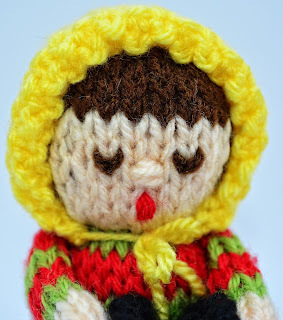 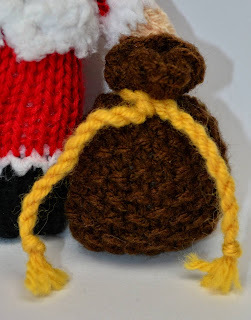 Children can make these as they only use Knit & Purl stitches.